The phrase “the struggle is real” conjures up images of day-to-day frustrations. But what if our struggles are meant to point us to God? 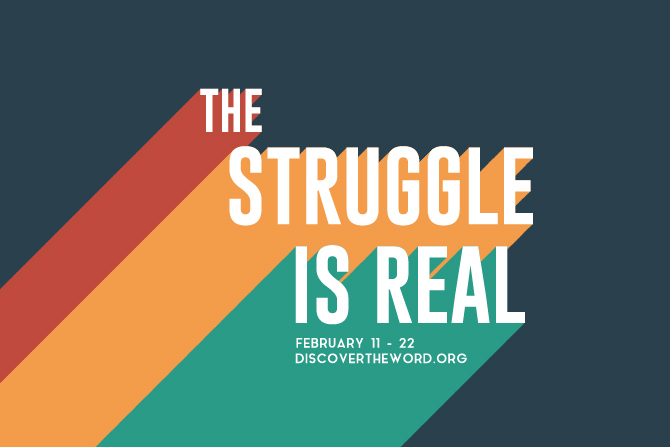 Today on Discover the Word, the team and author Nicole Unice begin a series called, “The Struggle Is Real.” It’s an honest discussion about what it means to trust in the Lord, even when life is difficult. Join us today for Discover the Word!